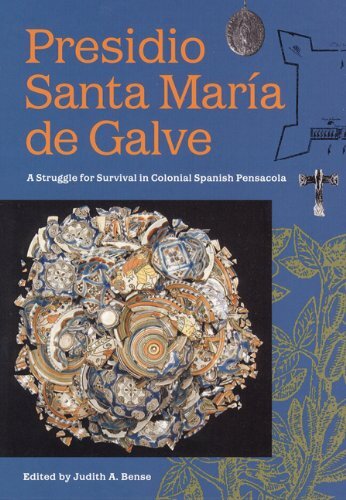 &quot;A significant contribution to Spanish colonial studies.&quot;--Bonnie McEwan, director of archaeology, San Luis Archaeological and Historic Site<br /><br />&quot;An excellent book that will stand as the definitive historical and archaeological reference on early Pensacola . . . and will undoubtedly become a classic.&quot;--Gregory Waselkov, University of South Alabama<br /><br />This examination of the Pensacola presidio and its fort during the first Spanish colonial period provides a rich inventory of artifacts and new interpretations of life among the 18th-century settlers and their evolving interactions with local native populations and with Mobile and Veracruz.&nbsp; Based on long-term interdisciplinary study and excavation, Judith Bense&#x2019;s book provides the first intensive account of an early colonial Spanish presidio in La Florida.&nbsp; As such, it will be of interest to researchers throughout the Spanish borderlands from California and northern Mexico to Florida.<br /><br />CONTENTS<br />Foreword by Jerald T. Milanich, series editor<br />Preface<br /><br />1. Introduction and Overview, by Judith A. Bense<br />2. Historical Context and Overview, by John James Clune<br />3. Settlement, Settlers, and Survival: Documentary Evidence, by John James Clune, R. Wayne Childers, William S. Coker, and Brenda N. Swann<br />4. Archaeological Remains, by Judith A. Bense and H. James Wilson<br />5. Zooarchaeological Remains, by Catherine Parker<br />6. Archaeobotanical Remains, by Donna L. Ruhl<br />7. Native Americans, by Norma J. Harris<br />8. External Connections, by Sandra L. Johnson<br />9. Summary and Discussion, by Judith A. Bense<br />Appendix I. Historical Data<br />Appendix II. Archaeological Data<br />Appendix III. Zooarchaeological Data<br />Appendix IV. Archaeobotanical Data<br />Appendix V. Indian-made Ceramic Data<br />Appendix VI. Comparative Artifact Assemblages<br /><br />Judith A. Bense is professor and chair of anthropology and director of the Archaeology Institute at the University of West Florida.&nbsp; She is the editor of Archaeology of Colonial Pensacola, 1750-1821 (UPF, 1999) and Archaeology of the Southeastern United States: Paleoindian to World War II&nbsp; (1986). Judith A. Bense is Executive Director, Division of Anthropology/Archaeology and Chair, Department of Anthropology at the University of West Florida. Large general used & rare bookstore with a well organized stock of over 10,000 mostly hardback books, antiquarian maps & prints, and tribal art. Open Tue-Sat from 10-6 EST. We offer computerized Search Service and Appraisal services. Member Antiquarian Booksellers Association of America and International League of Antiquarian Booksellers. Buying and Selling books since 1978, on line since 1998. Kentucky residences must add 6% sales take on direct to dealer orders. These items are usually one of a kind and subject to prior sale. Shipping: multivolume sets count per volume, (ie. 4 volume set = 4 books). Ship/hnd: multiple volume sets counted by the book (ie. 4 vols = 4 books). USPS BOOK RATE (2-20 days) $4.50 1st book, $1.75 each additional book; PRIORITY (2-7 days) $11.95 1st book, $4.00 each additional book; INTERNATIONAL: (we will quote you both surface and air for your approval before we process the order). Orders usually ship within 2 business days. Shipping costs are based on books weighing 2.2 LB, or 1 KG. If your book order is heavy or oversized, we may contact you to let you know extra shipping is required.